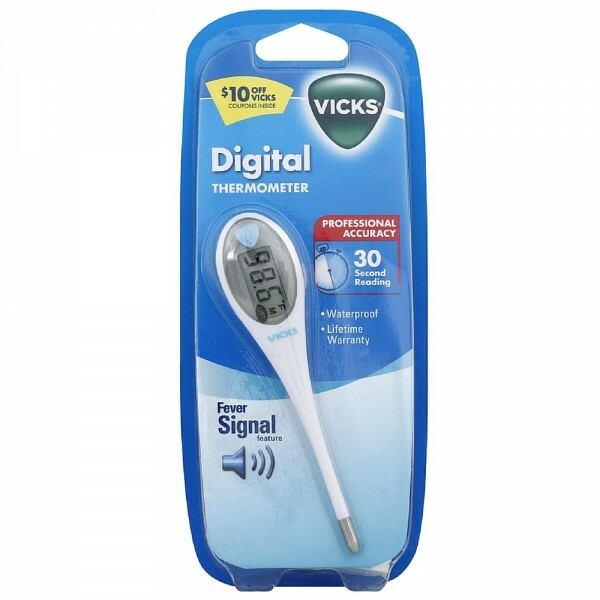 Uses The Vicks Digital Thermometer makes temperature taking easier. 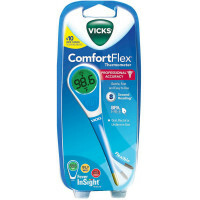 The large display is easy to read and the waterproof design allows for simple, more thorough cleaning. For use orally, rectally or under the arm. 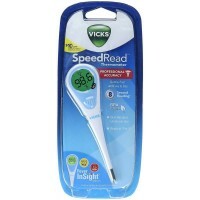 Features: Fast 30 second reading. Accurate readings within +/- 0.2 degrees F. Waterproof. Memory recall. Storage case inside. Warnings For household use only. Battery May Contain Mercury, Dispose of Properly.